One of my favorite things growing up was chicken nuggets. I no longer eat chicken, but I definitely still love to eat vegetarian chicken nuggets! Although you can buy them from the store, it is both healthier and more fun to make them yourself at home. These chickpea nuggets are delicious served with your favorite dipping sauce. If you’re a fan of chick fil a sauce, I will be posting a copycat recipe soon so stay tuned for that! 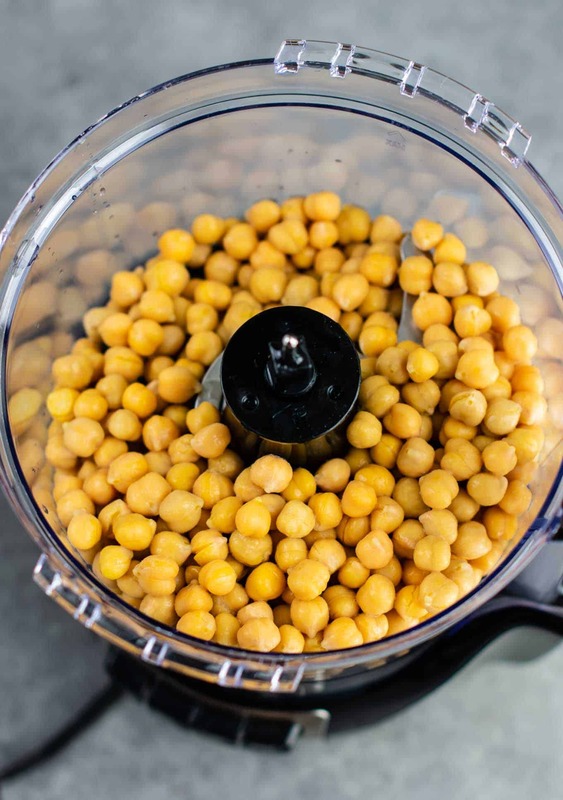 First, drain and rinse your chickpeas and add them to a food processor. Process them until they are flaky like this. Next, transfer to a large bowl. Add in your egg, oat flour, bread crumbs, and spices. Use your hands to mix it all up and combine. Toast your bread crumbs in the oven until browned. Next, form your batter into nuggets. This is the fun part! Dip each chickpea nugget into the bread crumbs on both sides and place them on a parchment paper lined baking sheet. If you have any leftover bread crumbs, sprinkle those on top. Bake your vegetarian chicken nuggets for 15 – 20 minutes, or until desired crisp is achieved. If you do not like chickpeas, you may not like this recipe. Chickpeas are the star of these nuggets, and they act great as a meat replacer. If you love falafel, you will love these. Sauce is key. The nuggets by themselves do not have a ton of flavor, but they are perfect to pair with your favorite dipping sauce. Whether you make a vegetarian bbq chicken sandwich, or dip it in honey mustard or chick fil a sauce, the choices are endless! 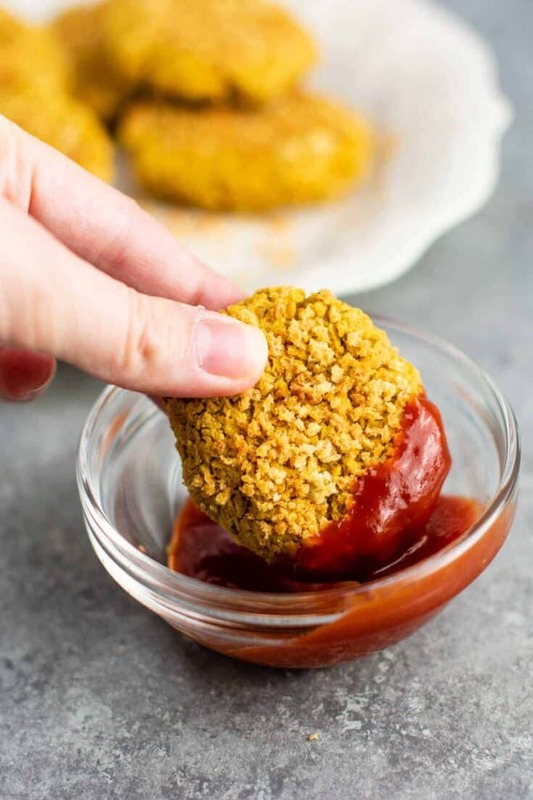 These chickpea nuggets are an easy vegetarian chicken nuggets alternative. Why not just leaving out the chicken period and make it vegan with a flax egg or any other vegan egg substitute? 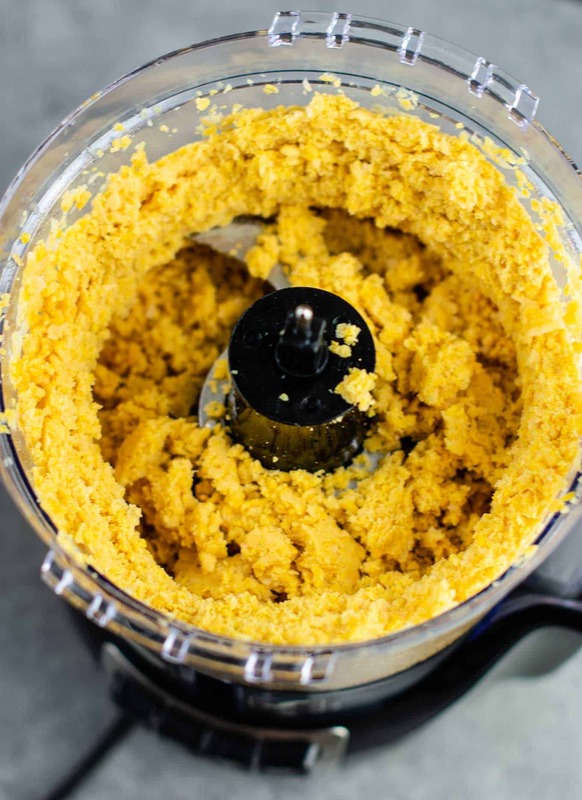 You went through the trouble of avoiding dairy and using nutritional yeast. There are people (like me) that are vegetarian but not vegan, meaning that we eat eggs. You are more than welcome to substitute a flax egg to fit your dietary needs. These look great. Can you freeze them? Can you freeze for them later? And if you can, how do you suggest I heat them? I have not tried freezing them, but I think it would work. I would suggest heating them in the oven for best crispy texture! If you ever wonder why people hate Vegans have another look at your preachy comment . If you dont like eggs just look for one of the million there are on the internet omitting them . But maybe if you ate a few you wouldn’t be such a cranky pants. Joy Shull, these are delicious and that’s coming from a committed carnivore.